Goodyear Wrangler AT/SA is a tyre meant for true blue rugged SUV enthusiasts. It is armed with all the strength to take over any type of terrains. The aggressive yet solid looking Goodyear tyre claims better road handling with its stylish tread pattern. With the infusion of latest technology, it is made to face tough terrains with ease and confidence. Goodyear Wrangler AT/SA delivers quality ride and produces low levels of noise ensuring a peaceful ride to the occupants. It is ideal for the adventure seeking souls who wish to drive on both, on-road as well as off-road surfaces. 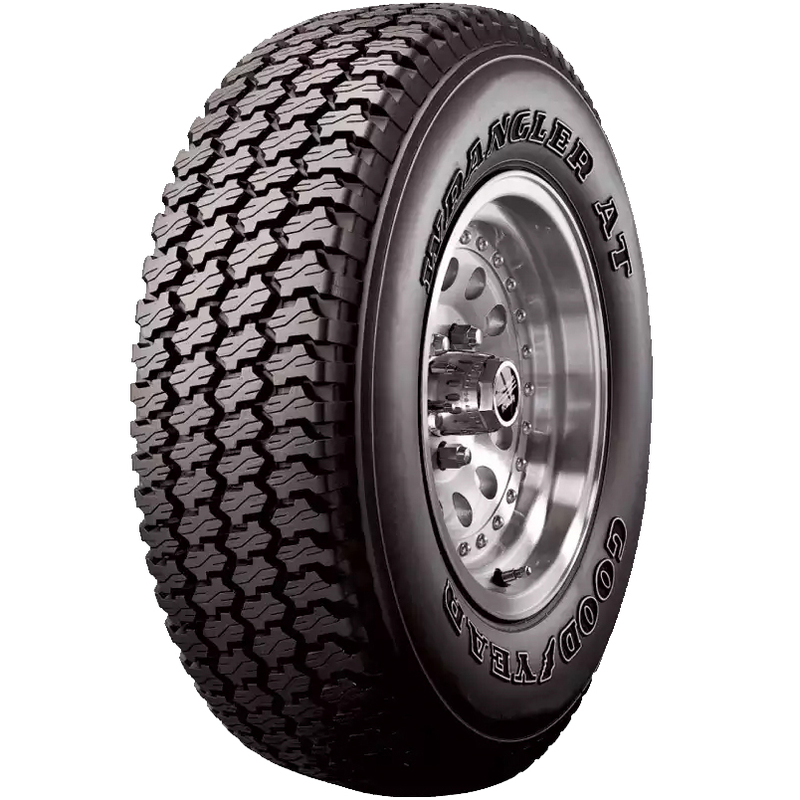 Designated for use under uncertain and harsh conditions, the all-terrain tyre fares well and without any disappointment. The high on life tyre with its sure-footed traction emerges as one of the first choices for SUV buffs who love adventure touring. The reasonably priced Wrangler series tyre can be installed to nearly all the modern 4x2 and 4x4 SUVs. Goodyear Wrangler AT/SA has been given an optimised pitch sequence which allows a decrease in noise for a silent ride. The SilentArmor Technology in addition to DuPont KEVLAR helps in providing exceptional durability and low road noise. The Durawall Technology enables it to endure rugged off-road use and repels tears and cuts. It has rigid shoulder blocks and improved grip that ensure better on-road handling, firm stability and greater traction under rough setup. The Wrangler AT/SA has open intermediate tread groove, several block edges, deep shoulder notches to ascertain class-leading all-terrain performance. The two high strength tensile belts help in delivering apt robustness to the tyre under demanding conditions. The Wrangler AT/SA scores high on durability, followed by wet weather performance, handling, dry braking and comfort.